Disproportional placement of at-risk children in American special education programs – the over-identification problem — is part of a historical pattern to block unwanted children from school participation. It dates back to the beginning of compulsory education in the 1920s. The premise of efforts to reduce over-identification should be the view that many Americans do not want native American, handicapped, poor, Hispanic, bilingual, migrant and black children in schoolrooms but federal law and the supreme court have forced educators to take them in. Internally, schools have used special education as a place to put unwanted children away from normal instruction as much as possible. Those who work in schools who seek to behave correctly should be prepared for resistance to efforts to fairly place and exit children from special education, owing to a system where most participants do not grasp the historical issues in operation or are afraid of causing trouble. One must learn to recognize eligibility plays as they develop and make the right call, the way NFL defensive backs anticipate the opponent’s strategy and play calling. The NFL back understands the other team wants to win but he can try to “jump the route,” get a pick, and take it to the house! Teachers are the engine of special education referrals but parents, physicians and other interested parties contribute. Teachers want to reduce the number of “difficult to teach” children. When 20% of a class contains DTT children, the class is at risk for failure. The DTT model is a powerful explanation of referrals. Related services people are the key here. They objectify and validate placements and retentions through evaluation procedures but their record is checkered, especially in using standardized tests, recognizing cultural differences and using correct placement criteria. Be alert! The IEP (eligibility) team entails dynamic fast-moving processes with latent conflicts of interest influencing outcomes. Seldom do members advocate for the child. Each team member has something to gain from placing and retaining children in special education. Reminders of compliance, speed and confusion work against contrary opinions. Administrators gain funds for the district and compliance assurances (although Congress has acted to control this problem). Teachers avoid DTT children. Parents gain help for their children. Related services personnel gain secure employment. General education avoids having to maintain remedial programs. Together, these powerful forces work efficiently no matter what congress, researchers and journalists say. Misplacement happens swiftly and surely, making detection almost impossible. Participants when questioned about over-identification are oblivious to the problem, or afraid to speak. 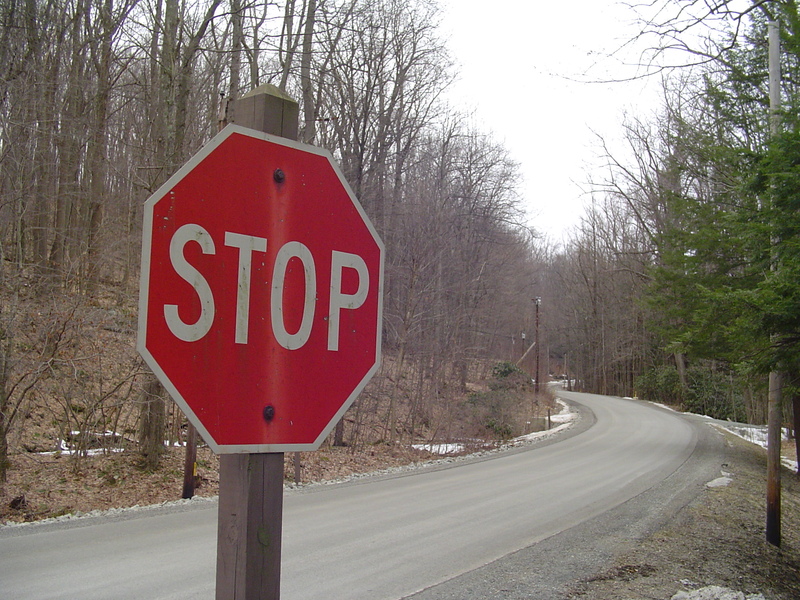 Stop sign along country road. Now the problem of over-identification has spread in an ugly fashion to suspensions. It appears to be a different issue but it is cut from the same cloth of disenfranchisement. For 100 years schools and communities have demonstrated endless creativity to find new ways to segregate unwanted children. Parents do not understand the risks of placement, and IEP meetings do not make this clear to them. Parents often do not understand the history or the legal paperwork of IEP meetings. Disadvantaged families are even more at risk. A while back we proposed half in jest a direct approach. It involves the local school administrator writing directly to the staff and telling them to stop placing so many children in special education, and stop keeping them there for an unacceptable length of time. Thinking on it, it is not a half-bad solution. In fact, it is a powerful, proper and cost-effective solution. States are supposed to monitor LEAs to make sure they are doing the job. The STOP approach can do it. I have noticed we have more than the predicted numbers of children in special education, and our district is part of a national pattern showing minority children in particular too often go into special education. The national reports indicate too that children are placed in the wrong categories, or some categories are over-used. Let’s try to cut back on our special education enrollment by 10%. Each person must use his or her skills to make rock solid eligibility judgments. I am providing a simple one page report form with a checklist and a place for comments. Please turn this in to me by January 15. We want to hear from you as to what you have done personally. In the long-run such information might give us a knowledge base for what we can all do together to combat over-identification. Thanks for all you do! As usual, you will hear back from me on your report. « What Women Speech Correctionists Lost to the Men! I love this blog! I just found it and will be back. Keep up the good work.